Home » food , personal , photography » Mission "Bhindi Bonanza"
So anyway, since this was a "pool dinner", all families were supposed to prepare one of the dishes, from the pre-decided menu, for "the table". One round of complete menu between the families of one floor. The top 3 floors don't have enough occupancy yet, so we were combined in one group. I had to make bhindi for this group... roughly 25 people. LOL! I have never made ANYthing for more than 10 people! 25 was a first for me! 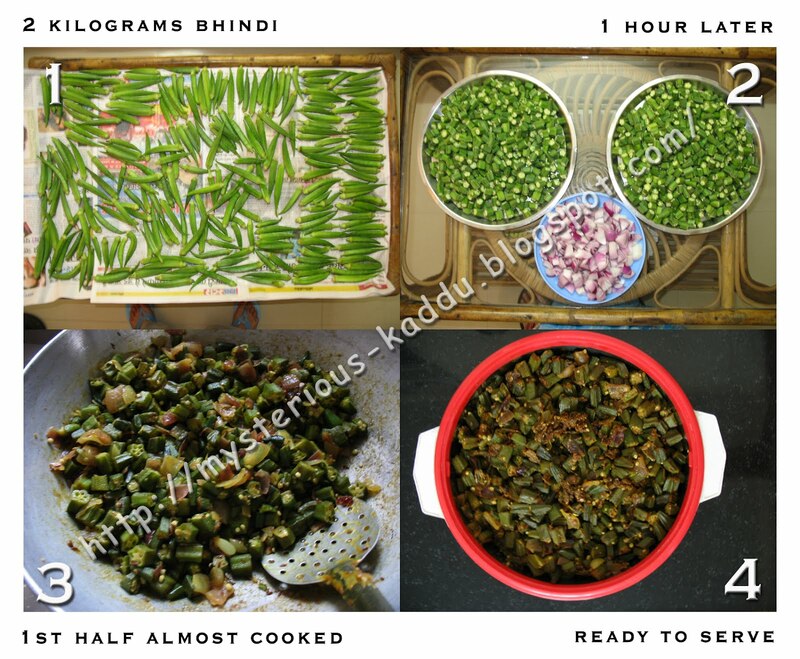 Bhabhi (that lively neighbor who was in-charge of my group) advised me to take 2 kilograms bhindi. So that's what I did. Didn't have a cooking utensil large enough to make 2 kgs bhindi at one go. So I split it into two parts and cooked 1 kilo at a time. Came out fine eventually... no catastrophes, no excess salt, no 'bhindi ka halwa' look!